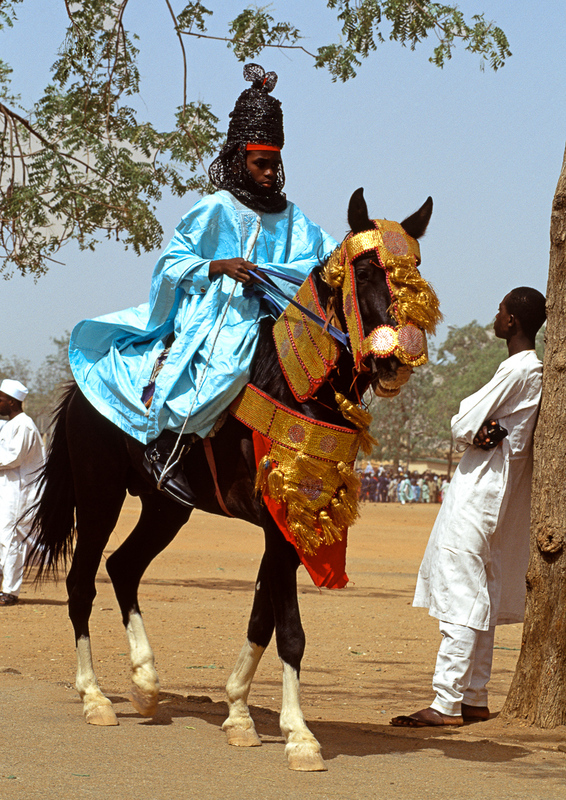 At the Sallah festival, the dress of both man and horse expresses status. The major form of male clothing is the Babbar Riga (Big Gown Ensemble), consisting of a multi-layered gown (riga) and a distinctive turban. Individual distinctions are signaled by the different qualities of cloth, tailoring, embroidery and headgear.